You may see a message like this when you launch a program or game on your Windows computer. But don’t worry. 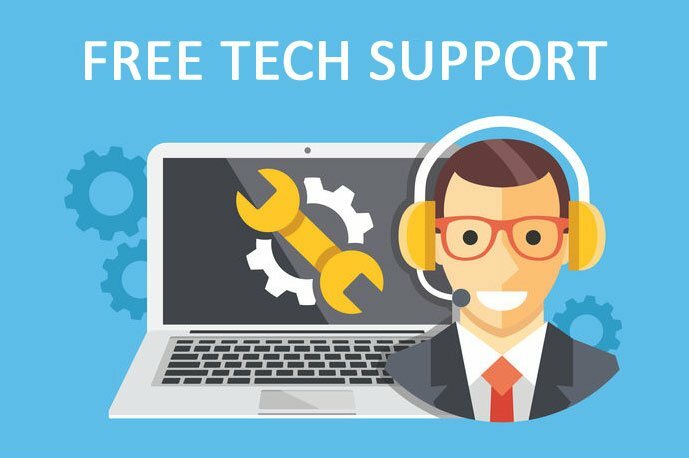 We’ll help you get that program up and running again in no time. Here are five solutions to getting that MSVCP140.dll file back where it should be. You shouldn’t have to do every single one. Just try each one in turn until everything’s working again. Note: All the screenshots below come from Windows 10. But the fixes also work on Windows 7 and Windows 8. 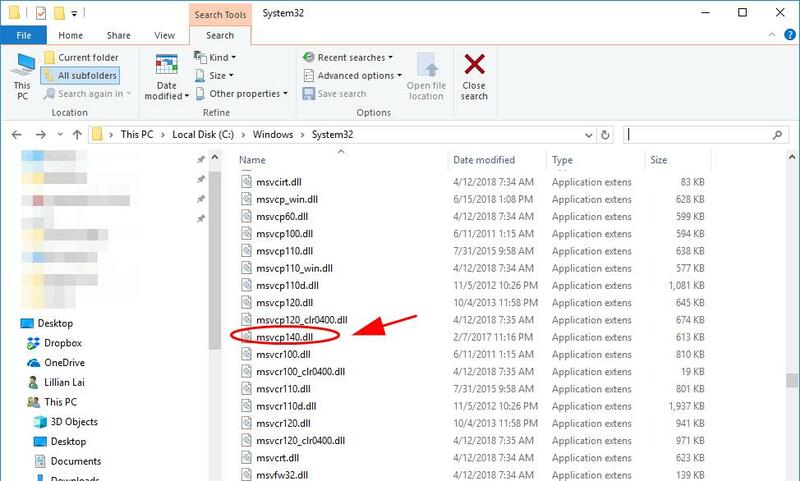 If MSVCP140.dll is missing or not found in your computer, you can fix your problem by restoring the missing file in your computer. To do so, use the DLL-files.com Client. 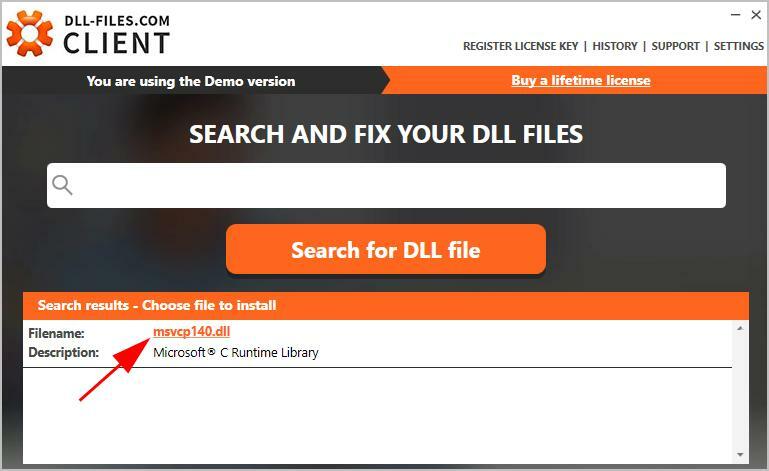 Type MSVCP140.dll in the search box and click Search for DLL file. 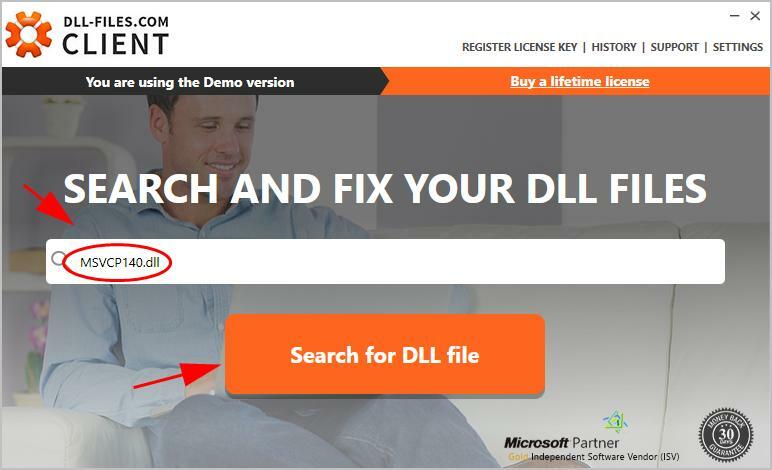 Click msvcp140.dll in the search result. 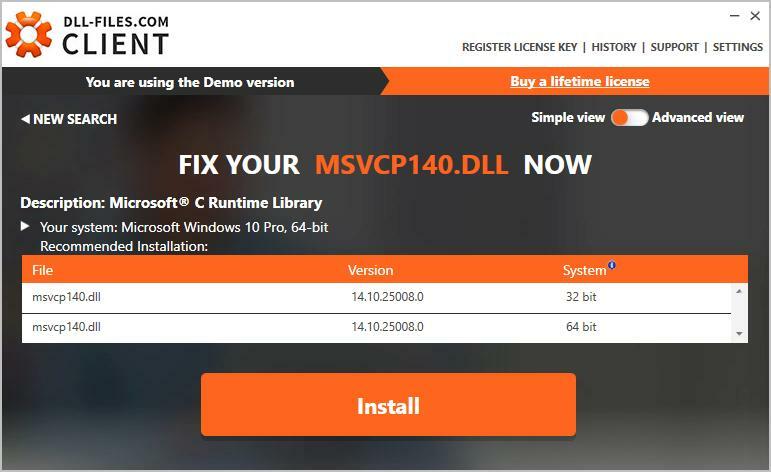 Once install, check if your MSVCP140.dll missing problem has been fixed. It’s such an essential package that it gets installed automatically when you install Windows. So chances are the MSVCP140.dll file is actually there, but has become corrupted in some way. Fortunately, you can simply re-download the package from Microsoft and install it again to fix the problem.. Important note: Make sure you download the file from Microsoft’s official website. Unofficial websites may allow you to download the MSVCP140.dll file instead of the entire package. But files from these unapproved sources may be infected with viruses. So always download from official sites whenever possible. 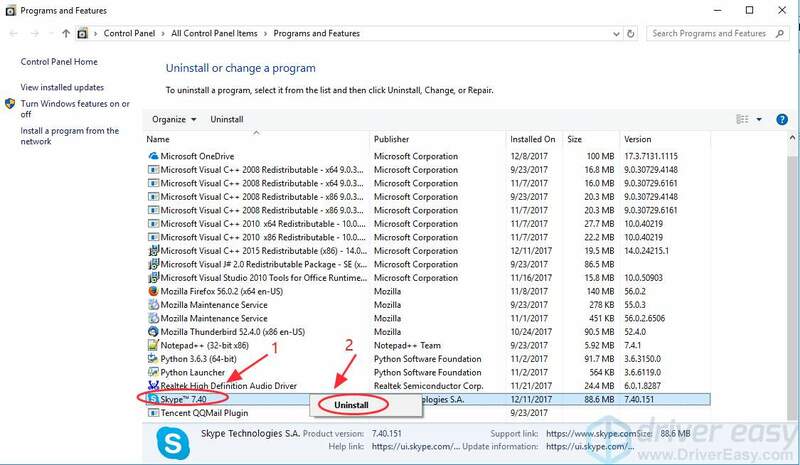 Go to the Microsoft Visual C++ 2015 Redistributable Update 3 download page, Choose the correct language, and then click Download. Select the appropriate file for your version of Windows (x64 for the 64-bit version of Windows, and x86 for the 32-bit version). If you know which version of Windows you’re running you skip ahead to step 3. 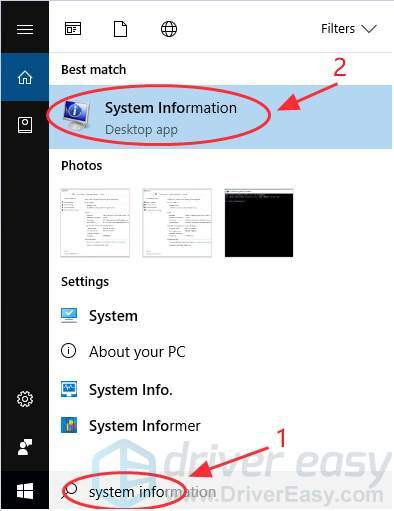 Otherwise simply type system info in the search box on your computer and click System Information. The System Type field will tell you whether you’re running 32-bit or 64-bit Windows.My computer is running the 64-bit version of Windows, so I select the vc_redist.x64.exe file and download it by clicking Next. Once the file has finished downloading, double click it, and follow the instructions to install it. Try launching the program that was giving you the error. As the error message says, reinstalling the program may fix the ‘MSVCP140.dll is missing’ problem. Why? Because the program’s installation files may include the correct version of the MSVCP140.dll file. On your keyboard, hold down the Windows logo key and press R to bring up the Run dialog box. 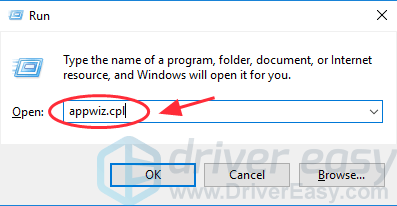 Type appwiz.cpl and press Enter to bring up a list of all the programs installed on your computer. Right-click on the program that’s giving you the error (in my case it’s Skype) and click Uninstall. Reinstall the program, and then launch the program. and E on your keyboard), then go to C:\Windows\System32 and copy the msvcp140.dll there. The ‘MSVCP140.dll Is Missing’ error message may appear if a virus on your computer is preventing the MSVCP140.dll file from being detected. The virus may even be generating the error itself. So there you have it—five ways to fix the ‘MSVCP140.dll is missing’ error message.